We are Manufacturer & Exporter God Statues Marble Durga Mata Statue such as designer durga maa statue. 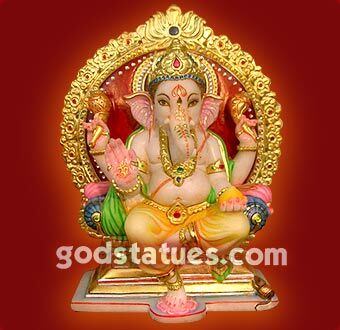 God Statues these can also being used as gift item as well as for worship in temple and home worship. God Statues Offered at competitive market price, our more product range is in accordance with the defined industry standards. We offer god statues our client a splendid collection of statue of Durga Statue that is manufactured using premium quality material which is sourced from experience worker. Well known for excellent finishing working, our Marble Kali Maa as well. These are crafted using superior quality white marble. We offer an exclusive collection of Marble Goddess Statue intricately crafted in various themes and position. 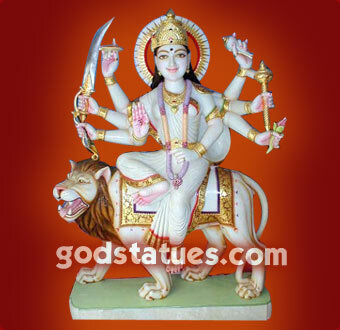 Exporter and Manufacturer of Marble Durga Mata Statue Durga Mata Idols,Marble Durga Maa.. Manufacturer of Durga Mata Marble Statues. God Statues to furnish the diverse requirements of clients in best possible manner we are involved manufacturing and exporting a wide array of Marble Durga Statue. God Statues Manufacturer and exporter of Marble Goddess Durga Statues – Durga Mata Statues, Marble Durga Mata Moorti, Chamunda Mata Moorti and Marble Durga Mata Murti.